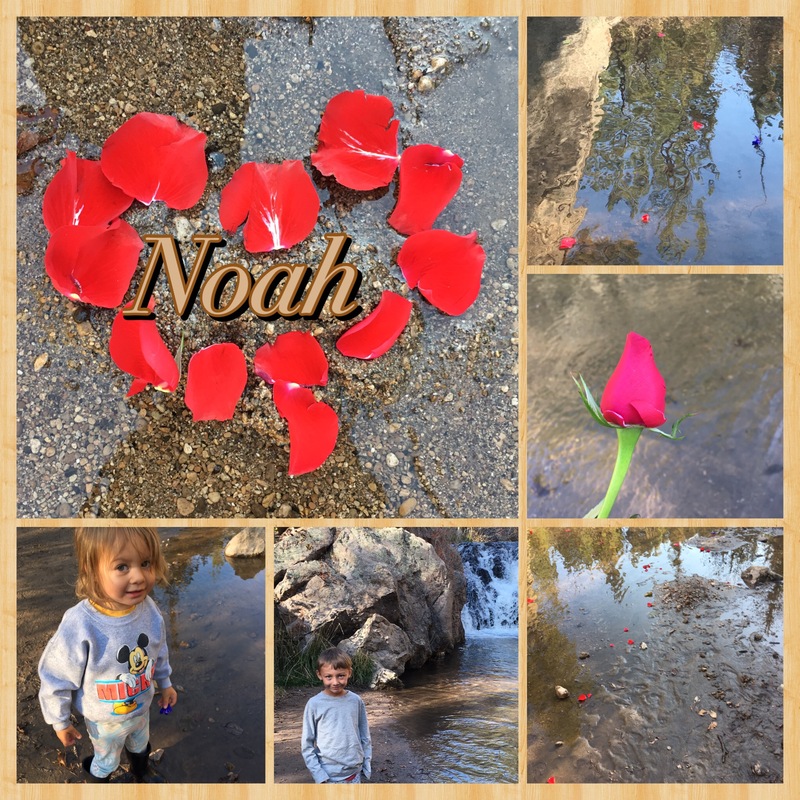 Today we did acts of kindness for Noah. And we asked others to join us. We went for a beautiful hike to the waterfall. We had dinner, and cake, and tried to explain to Sam who all of this was for. Owen gets it in a way that I wonder if Sam ever will. At Sam’s age Owen had already experienced death, loss and heartbreak. In some ways, even though he was born into a bereaved family, Sam has never had loss. He is lighter for it. Four years ago tonight we were on the most surreal drive of our lives. Having given birth 12 hours before, we drove two hours with our baby in a tiny white coffin to take him to the funeral home, and say goodbye. It is the hardest thing I have ever done. Still, I am glad for the time we had with him. And that we have pictures of him. He had high cheekbones like Owen, and Sam, and my side of the family. His lips and his nose were like theirs too. I mostly share the pretty black-and-white, softened pictures from NILMDTS. But you can’t see him as well in them. You don’t see all the “disturbing” things. His bright red, paper thin skin. His huge, squishy head swollen with fluid. But you also don’t see that he has our cheeks, my nose, his dad’s eyes. NILMDTS is an amazing organization. And I am so greatful for beautiful pictures that I can have up in my house. But I love the real pictures too. Even if no one else wants to see them. This entry was posted in birthday, family, Rainbow, Sibling grief. Bookmark the permalink.